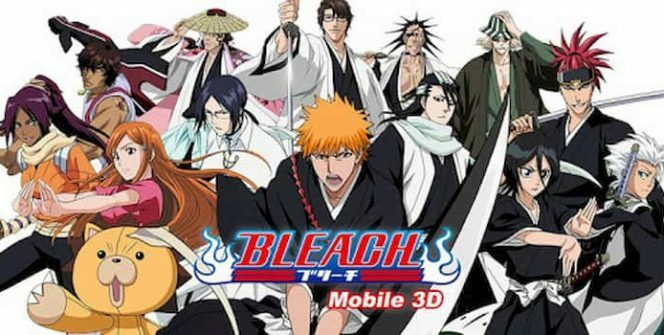 If you’re a fan of the Japanese anime series Bleach and are interested in playing a video game based on its characters, check out the new BLEACH Mobile 3D. 1. It features a large, open world map, which boast plenty of Bleach locations. BLEACH Mobile 3D features an expansive, open world map, which you’ll be free to explore at your own leisure. Examples of some of the famous BLEACH locations which you can explore include the Kurosaki Clinic, the Rukon District and the Urahara Shop. 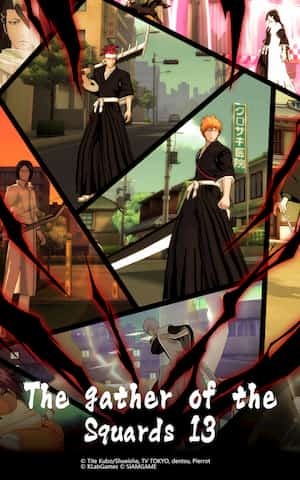 All of which you may recognise from the original Bleach anime series, which BLEACH Mobile 3D is based off. 2. You’ll be able to turn in a 360 degree circle. When you explore the game’s massive map, you’ll be able to realistically and smoothly turn in a 360 degree circle, which will help you feel immersed in BLEACH Mobile 3D’s beautifully animated world. 3. The characters which you’ll interact with are voiced by Bleach’s original voice actors. One of the reasons why fans of the Bleach anime series, love BLEACH Mobile 3D as that all of the characters are voiced by their original voice actors. In fact, over 100 Bleach voice actors lent their voices to BLEACH Mobile 3D. 4. You’ll be able to fight opponents in player vs player battles. As BLEACH Mobile 3D is a slash and hack game, you’ll be able to take part in player vs player battles against real life opponents. Better yet, all duals are played in real time. Just be sure to level up your character before you start taking on opponents in the player vs player battle arena as players aren’t matched up with players of a similar rank. So to give yourself a fair shot of winning, it’s well worth levelling up as much as you can first. 5. You can also enter battles as part of a duo. If you enjoy working with your friends to defeat formidable foes, you’re also in luck as you can also compete in multiplayer duals as part of a duo. You’ll even be able to team up with a friend in order to face the game’s toughest opponent Aizen, who is the final boss which you’ll face playing BLEACH Mobile 3D. 6. You can select characters to form a legendary squad. One of the best parts of playing this particular title, is being able to hand select powerful characters to form an unbeatable squad. Some of the famous Bleach characters who you’ll get to add to your battle squad include Byakuya Kuchiki, Uryu Ishida and Kenpachi Zaraki. 7. You’ll be able to play as a soul reaper. If you’re fascinated by Bleach’s soul reaper character, you may want to have a go at becoming a soul reaper. 8. You’ll be able to effortlessly travel from the human world to the spirit world. When you download BLEACH Mobile 3D you’ll be able to travel back and forward from the spirit world and the human world, whenever you choose. So if you’d love to explore the compelling world of BLEACH Mobile 3D, it’s well worth downloading and playing BLEACH Mobile 3D on PC. As not only will you be able to explore the human world but you’ll also be able to explore the games’ spirit world! Sometimes when playing BLEACH Mobile 3D, bluestacks ask you fee to pay but gives you option to download some apps. Every time it asks you just select “Install apps” and continue using it free. I hope you enjoyed this article, please rate and share. If you have problems running BLEACH Mobile 3D on your desktop or any other issues, leave a comment below.